“Progress is rarely a straight line. There are always bumps in the road, but you can make the choice to keep looking ahead.” Kara Goucher [BILD: Bertlicher Straßenläufe 2019]. “Limitations live only in our minds. But if we use our imaginations, our possibilities become limitless.” Jamie Paolinetti [BILD: Bertlicher Straßenläufe 2019]. “A dream doesn’t become reality through magic; it takes sweat, determination and hard work.” Colin Powell [BILD: Bertlicher Straßenläufe 2019]. “On a long run, it’s okay to let your mind wander. Overthinking everything can be paralyzing. Take in the sights and sounds, clear your mind, and just enjoy the process.” Desiree Linden [BILD: Bertlicher Straßenläufe 2019]. “What distinguishes those of us at the starting line from those of us on the couch is that we learn through running to take what the days gives us, what our body will allow us, and what our will can tolerate.” John Bingham [BILD: Unterwegs beim Marathon der Bertlicher Straßenläufe in Feburar 2019]. 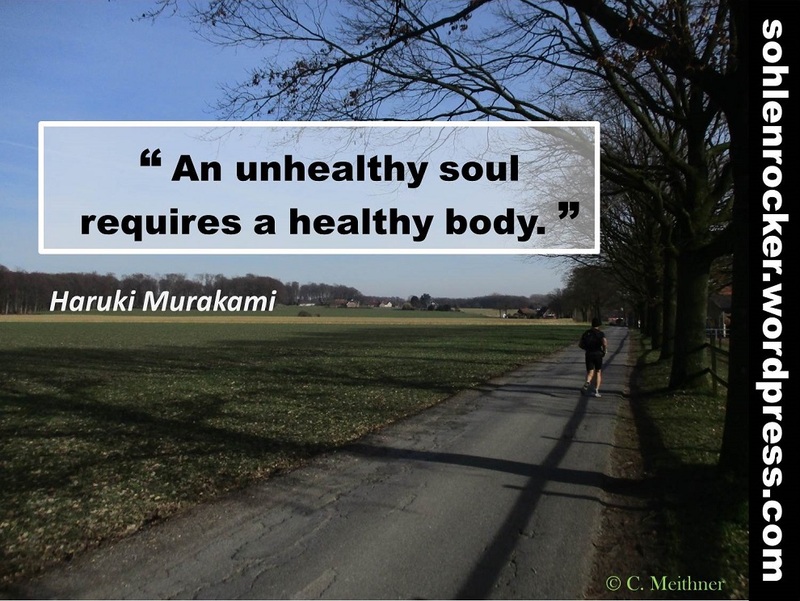 “An unhealthy soul requires a healthy body.” Haruki Murakami [BILD: Unterwegs beim Marathon bei den Bertlicher Straßenläufen 2019]. “There’s no way to become great overnight, but in the marathon of success, it takes a lot of intention to see you through each day of the journey.” Lewis Howes [BILD: Unterwegs beim Marathon bei den Bertlicher Straßenäufen 2019].